ADmazing coupon book orders are due October 31. However, you can submit orders at any time and our wonderful volunteer Lisa will fill them for us weekly. We highly encourage you to take your fundraising forms with you on the Thanksgiving long weekend and connect with your family about supporting you through fundraising. Remember that we have coupon books for Edmonton, Red Deer, Calgary, and Southern Alberta (Medicine Hat and Lethbridge). One of our greatest fund-raisers is the grocery card program that provides a percentage from all sales to the CHS music program. There is no additional cost to the card purchasers..............you pay $100 for each card, and its worth $100. The cards never expire, and are good for purchases of groceries, prescriptions and gas! Its a great fund-raiser as everyone has to eat, buy gas for their vehicles, etc. Keep them in your wallet and in your vehicles........before you pull out cash or your credit card to purchase something, pull out the applicable grocery card! Pay for your everyday purchases with ‘gift cards’ from Fundscrip, and earn $$ for your student’s band account! Cards are available for many retail organizations and many types of products, including Apparel, Restaurants, Sports & Leisure, Travel and lots more!! A percentage of every gift card you purchase goes into your student’s band account. 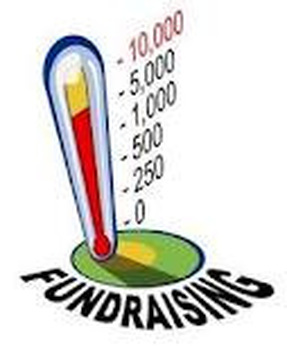 REMEMBER THAT FUNDRAISERS HELP TOWARD YOUR OWN PERSONAL BAND / CHOIR ACCOUNT TO HELP PAY FOR TOURS, BAND CAMPS, VIC LEWIS FESTIVAL & OTHER BAND ACTIVITIES. * Some Fundraisers we will do together will be for the benefit of the entire program, and not to individual accounts. Want to make a suggestion for a fundraiser?